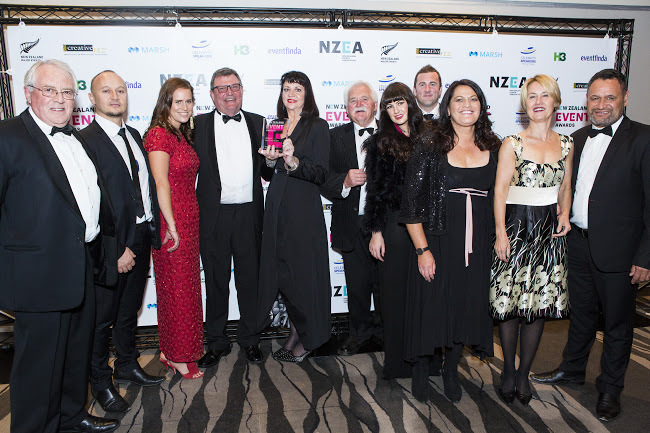 WOMAD NZ were finalists for THREE national awards in this year’s 2017 New Zealand Event Awards presented last night at a gala ceremony at Sky City in Auckland. They received nominations for ‘Best National Event of the Year’; WOMAD NZ’s Marketing and Communications Manager, Cleopatra Wood, was named as a finalist in the ‘Emerging Event Professional’ category, Suzanne Porter says of Cleopatras nomination “We are incredibly proud of our marketing manager Cleopatra Wood for her nomination, the calibre of finalists is a true testament to her great achievements working on WOMAD” WOMAD NZ was also a finalist in the public voted ‘Eventfinda / New Zealand’s Favourite Event of the Year’ award. “This award brings together a culmination of years of expertise, dedication and professionalism that’s been given to this festival by our most wonderful staff. I congratulate Suzanne Porter our CEO and her dedicated crew for what they have so deservedly achieved at these national awards, I am so proud of them, as is my board and I am so excited that we now have a line that we much exceed to take our Festival to an even greater level.” says Charles Wilkinson, WOMAD chair. The full WOMAD NZ 2018 festival line up is being announced in Wellington on the night of Wednesday October 18th. Previously announced artists for the 2018 festival include Los Angeles saxophonist, composer and jazz superstar KAMASI WASHINGTON, the Indian classical and progressive sitar virtuoso ANOUSHKA SHANKAR and classic Kiwi band DRAGON who will be joined by many more exciting and eclectic artists from across the globe. The internationally established three day festival brings together international artists to celebrate the world’s many forms of music, arts and dance. Set in the stunning 55-acre Brooklands Park and TSB Bowl of Brooklands, New Plymouth, WOMAD NZ has rightfully gained a reputation as one of the most beautiful outdoor festivals in the world. The main stage is set at the base of a natural amphitheatre and not only provides a stunning setting, but an acoustic experience second to none. The other three stages are located throughout Brooklands Park, with every square inch oozing the vibrancy of the family friendly WOMAD. Since the first festival in the UK in 1982, founded by Peter Gabriel and Thomas Brooman, WOMAD has held more than 160 festivals worldwide with 2018 seeing the festival celebrate its 14th anniversary in New Plymouth. In its tenure, WOMAD has had 150,000 visitors through its gates and generated over 100 million dollars for the local Taranaki economy. As an organisation, WOMAD now works in many different ways, but their aims are always the same – at festivals, performance events, through recorded releases and through educational projects, they aim to excite, inform and create awareness of the worth and potential of a multicultural society.